The fact that essential oils are produced by living organisms is too often lost in the shuffle of commerce. Indeed, commercial essential oils are more often than not only partially derived from a specific plant and partially constructed in the laboratory. While the primary reason for adulteration is to cut cost, the readiness with which the marketplace accepts those adulterated oils reflects a severe lack of understanding of how and why products from a living organism are different from those from a chemical factory. Efforts to establish quality standards through chemical analysis, while important and useful, have also helped to blur the distinction and somehow created an impression of equivalence between natural and synthetic substances. In aromatherapy, it is commonly accepted that essential oils are, ideally, derived from plants. It is also accepted that their chemical composition may vary drastically. In many cases chemotypes, intraspecies taxa based on characteristic chemical profiles, are distinguished. However, very little or no intellectual energy has been expended, trying to understand what makes the chemical composition of plant essential oils vary so widely within a single species. It used to be the prevailing viewpoint in fragrance chemistry that essential oils were a random mix of chemical compounds, somehow and pointlessly manufactured in the plant as waste products. Nothing could be further from the truth. 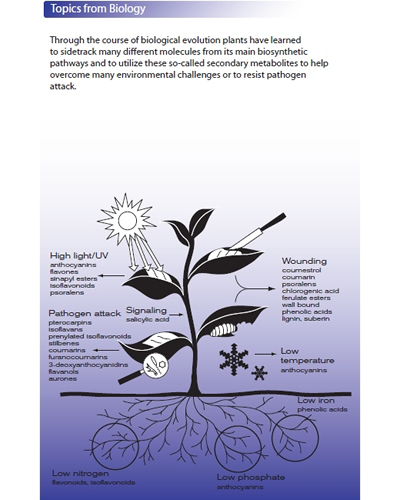 Essential oils play vital roles in the plant metabolism. The science of biology provides the language for questions, which are not addressed by chemistry: Why are essential oils found in the plant? What benefit does the plant derive from producing these substances? Why were some substances favored by evolutionary selection and others not (in a given ecological niche)? 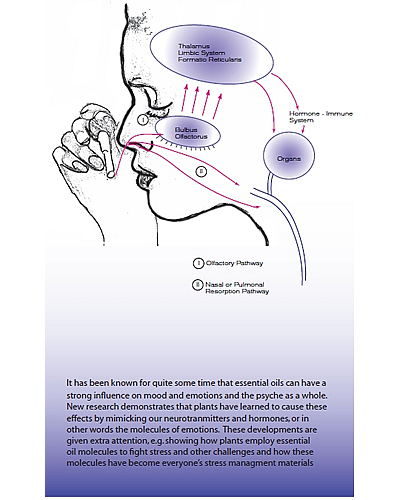 What is the role of essential oil components in those physiological processes, which are shared by all life, by plants, animals, and humans? Answering these questions provides exciting new narratives to understand and develop therapeutic applications of essential oils. 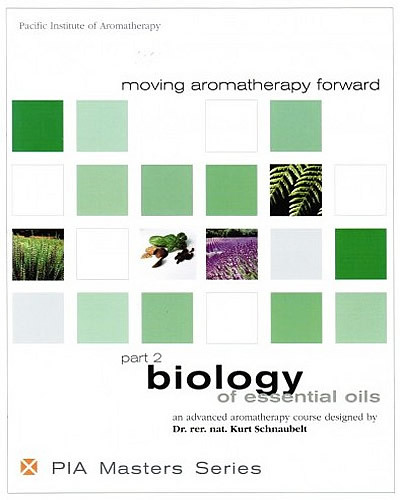 The approach of Biology of Essential Oils leads the reader to understand what essential oils do in the world of plants and mammals and how the physiological activity of essential oils and their components is by no means random but an integral consequence of the relations between biological organisms during the course of evolution. An introduction to biological evolution and the domains of life. Basic concepts of taxonomy. Essential oils are vital elements in the metabolism of plants. The very functions essential oils perform in the plant are also the basis of the therapeutic effects of essential oils in mammalian (including human) organisms. Understanding what essential oils do in the plant and in the animal world is a most important clue for developing therapeutic applications for aromatherapy. 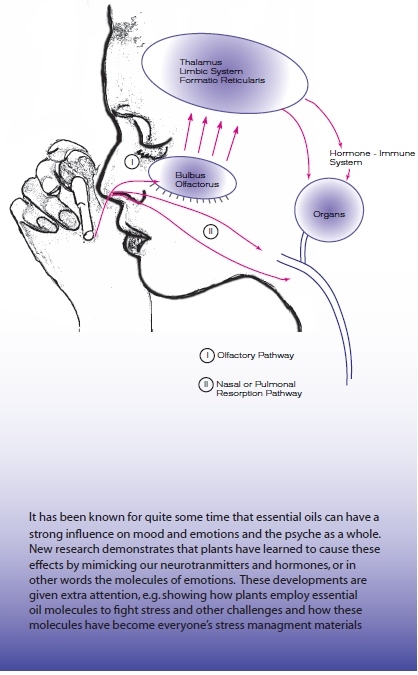 Those effects of essential oils on human physiology include their interaction with receptor systems, especially but not limited to the autonomic nervous system, to mitigate inflammation and to prevent tumor growth. Tracking the occurrence of essential oils across the plant kingdom from early plant organisms to Gymnospermae and all the subclasses of Angiospermae provides insight about the evolutionary stage an essential oil represents. 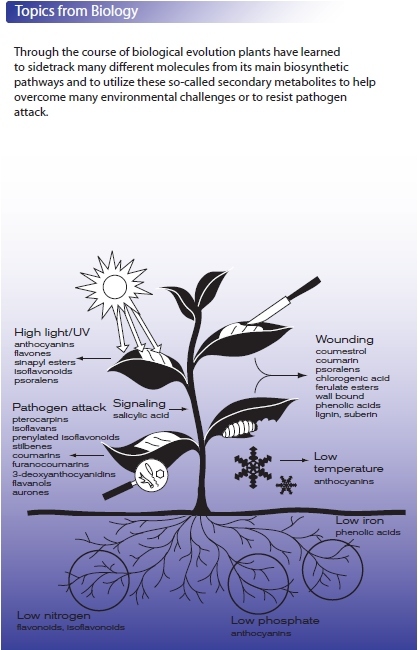 Many essential oil components are produced in the chloroplast, connecting them directly to the energetic composition of visible light in various environments, in part determining the variation of essential oil composition in different geographical zones. A primer on natural. Industrial processors of plant materials have done their best to confuse the concepts of natural and synthetic. Despite terms like nature identical and similar ploys, biological substances are different from manmade ones in physical composition as well as in their effect in human physiology. There is apparently no literature dealing especially with the biology of essential oils as a whole. Over 100 citations of scientific studies are given about the various aspects of the theme.